Concerned about weight loss during pregnancy? Is yours one of losing weight in early or late pregnancy? Planning to losing weight while pregnant? Or just wondering how much weight is expected to be added when pregnant and how much of this you could lose after having your baby. Find expert advice here to all your weight loss query during pregnancy. It is normal to put on about 10 to 15kg (22 to 33lbs) increase in weight during pregnancy. For some mother-to-be, this additional weight gain in pregnancy could go up to 44lbs (20Kg). Yes. Up to 44 pounds extra! About 3 to 6 lbs is often gained within the first trimester of pregnancy (the first 3 months) and then another 15 to 25 lbs added in the second and third trimester. The good news is that most of this weight gain is lost after the birth of your baby. About 60% weight loss is expected immediately after delivery, and the balance weight is lost over the course of the next six to twelve weeks after delivery. Sometimes it could take a little longer than this. The above is true only for the expectant mother who was alert to eating healthy during pregnancy , and has not been "eating for two", pilling on the pounds to an excess. Any additional weight gain that is in excess of the above will need additional time and effort to be burnt off, and even more importantly, could be unhealthy for both mother and the unborn child. It is therefore important to keep an eye on one's weight before becoming pregnant and even more so during pregnancy. Being obese in pregnancy greatly increases the risk of having early and late first trimester miscarriages, raised blood pressure in pregnancy, gestational diabetes, blood clots, abnormally formed babies and an increased risk of having caesarean section. So too, weight loss during pregnancy could be unhealthy and could put both mother and baby at certain risk , like increased incidence of neural tube defect, miscarriage and poor maternal health during pregnancy, and immediately after delivery. The balance therefore lies in not gaining too much weight before, and during pregnancy and to aim at healthy eating and appropriate measured exercise during pregnancy in order to prevent excessive weight gain. Recent medical consensus is that pregnancy is not the right time to lose weight. But unintended weight loss during pregnancy does happen. This is often more common in the first trimester, though it could happen during the second or third trimester as well. Weight loss during first trimester usually follow episodes of sickness and vomiting in the first 5 to 12 weeks of pregnancy. This is what doctors call hyperemesis gravidarium. It leads to dehydration as well as excessive break down of body fat, in turn, leading to ketosis, and the high level of ketones (which is often detected in the urine), fuels vomiting even further. If you notice that you are losing weight during pregnancy from excessive vomiting, the chances are that you are losing lot of fluid from your body and need to see your doctor. With adequate fluid replacement and prescription of anti-sickness medication to stop the vomiting, and vitamins in some cases if your doctor thinks it is necessary, everything should be okay for you and your baby. In some other cases of weight loss during pregnancy, it might be that the baby was growing well as expected initially, but then starts to have stagnation of growth. This is called intra-uterine growth retardation. This tends to happen towards the end of the first trimester and up to the third trimester. There may be other signs like a bump not growing in sync with the expected date or weeks of gestation. If this is the case, doctors can often find out by ordering a baby scan. Another reasons for weight loss during pregnancy could be that one initially had a twin pregnancy and if one of the twin stops growing, or in the worst case scenario dies, it could be absorbed, or shrinks, leading to weight loss. This situation is very very rare. So too is if one's baby is no longer alive before birth. In any case, if you are losing weight in pregnancy and it is not intentional, and you are eating well and doing all the right things, it is a good idea to see your doctor to determine what might be going on. To Lose Or Not To Lose Weight During Pregnancy? While there are theoretic benefits from losing weight in pregnancy if one's BMI is more than 35, there are greater risks associated with losing weight during pregnancy. So, do not try losing weight when you are pregnant. What you can do though is work to not pile on more pounds. You can do this by eating healthy during pregnancy. Avoid dieting. 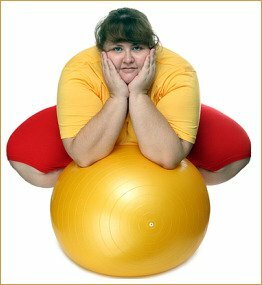 Also engage in mild to moderate level exercises like walking, jogging, swimming, and use of exercise ball. Always check with your doctor that it is okay for you before embarking on any unfamiliar exercise. If you have any unresolve query about weight loss in pregnancy, why not post it here, using the box below? For weight loss after pregnancy, there are severeal programmes out there combining focused exercises, healthy dieting and bio-psychological interventions to achieve pre-pregnancy weight or less. The Trim Pregnancy™ Program is a largely acclaimed weight loss program after delivery, achieving good results within weeks. Weight Loss During Pregnancy: What's Your Experience? Do you have a great story about weight loss in pregnancy? Or just want to find answer to a specific query not covered above? Share it here!